It’s our favorite day of the year: Black Friday, Baby! We’re bringing you some incredibly rare and limited bottles to add to your collection. The catch? To buy the beer we’re asking you to pay it forward. Donate a toy to buy a beer. 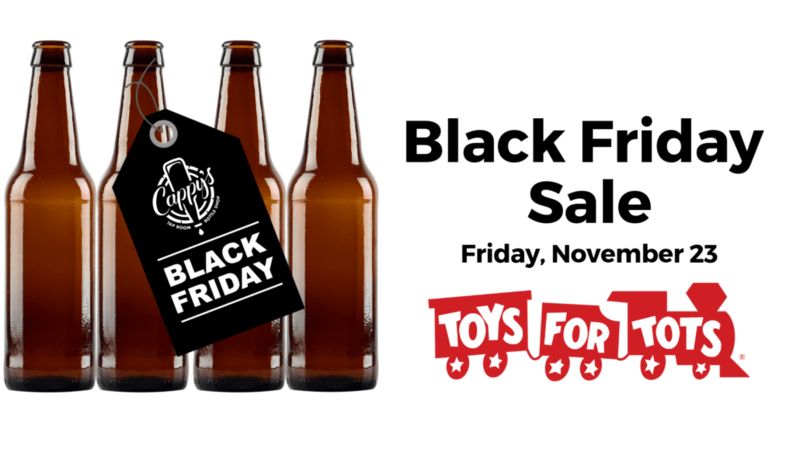 Donate five toys, buy five bottles of beer. Etc. This day, for us, is all about good people, a good cause, and some damn good beverages. MYSTERY BEER – We’re not revealing this one until you show up on Friday, but trust us, you want a bottle!